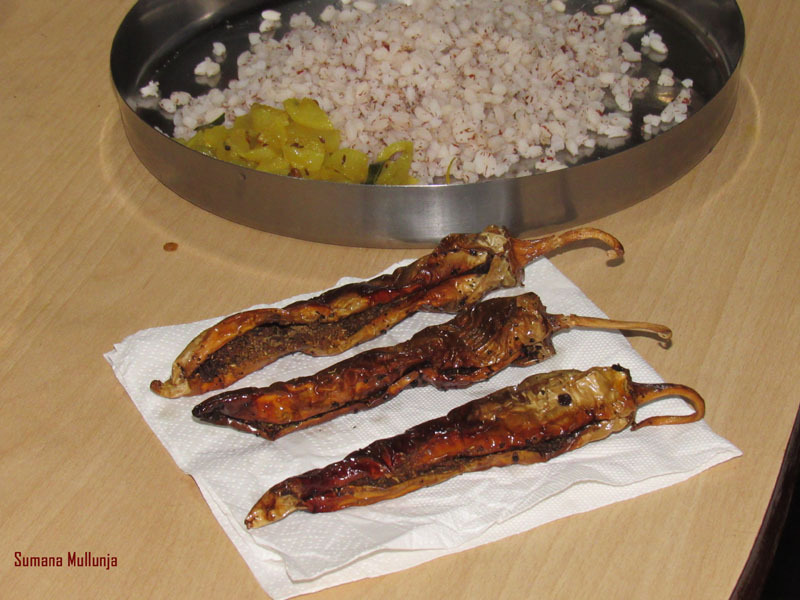 The simplest and my favourite food is steamed rice and cup of curd rice with pickle or this sun dried stuffed masala chilly. Whenever you run out with time and busy schedules this will be the best option have. 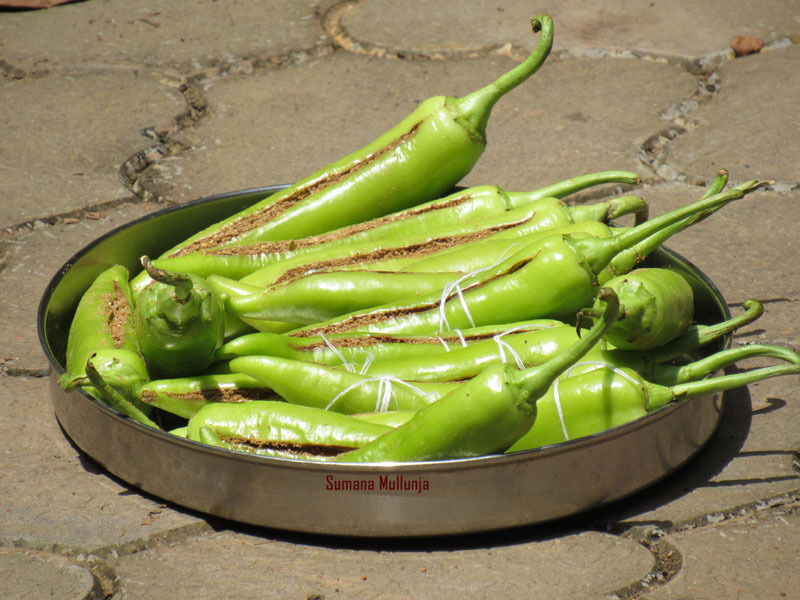 If you prepare this sun dried stuffed green chilly and store it – you can have this like anytime, only thing is to prepare rice for that moment, that’s it! Make vertical slits along the chilly. Be careful while doing this so that chilly won’t open up fully. If you want less spice option remove the seeds. 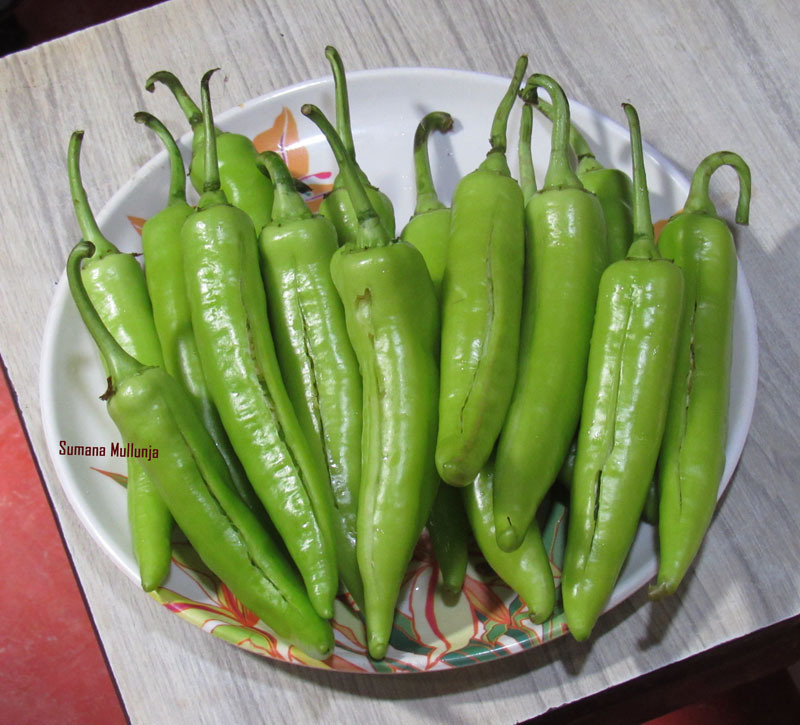 But these chillies are not spicy, so I didn’t remove seeds. 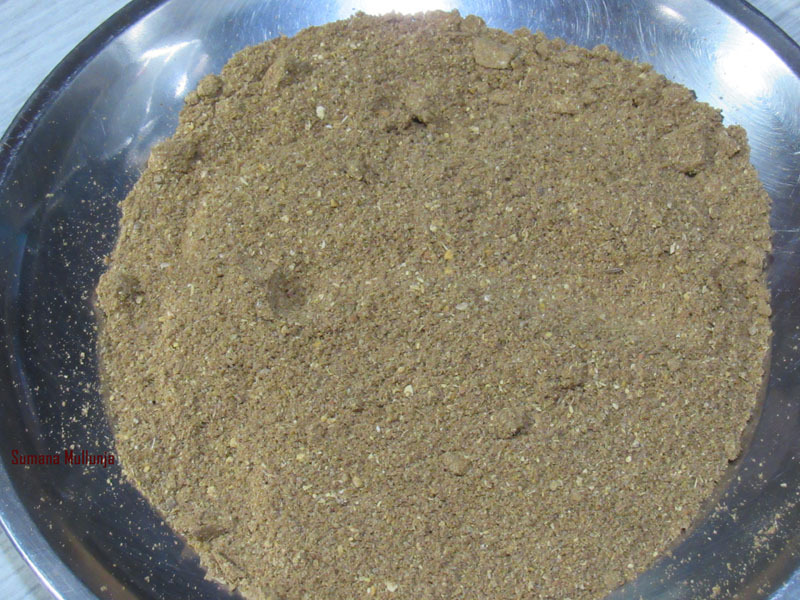 Roast cumin seeds, coriander seeds, menthe seeds, asafetida and powder them. Add salt to this powder. Now stuff the masala powder in the chillies using a spoon but it’s easy if you use your hand itself! 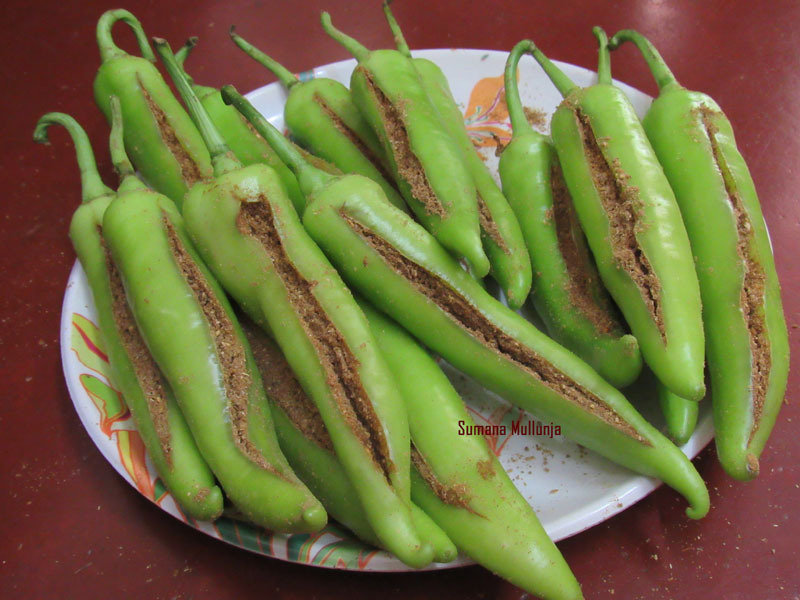 Tie the chillies with thread to avoid spilling of masala powder while we keep it for drying. Now keep it for dry. Store them in an air tight container, stays well for months. Deep fry them in hot oil till crisp and golden brown when required. 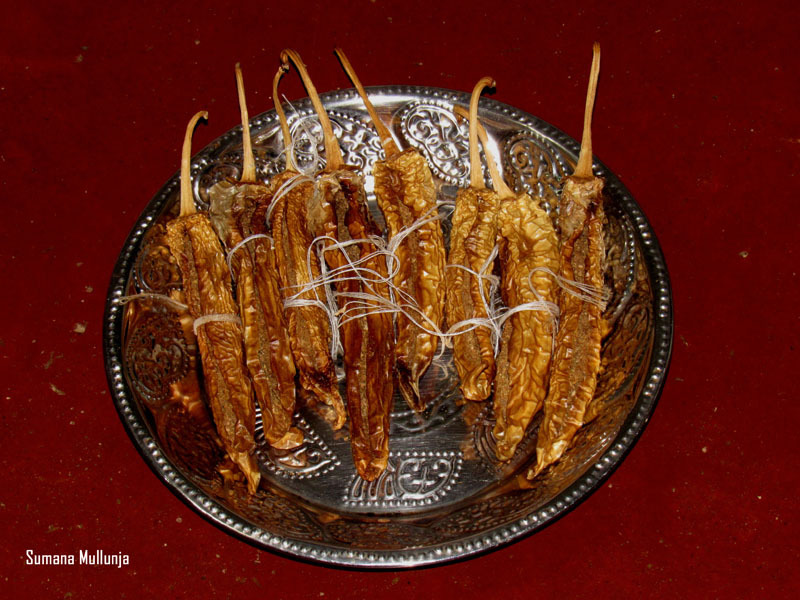 Enjoy with hot rice with a bowl of curd.